This Week In My Classes: Everything Else! When it’s this quiet around here, that can only mean one thing: I am very busy elsewhere! The main reason I haven’t written up any new reading is that I’ve been working on a review for the next issue of Open Letters. Despite my best efforts, I’m still quite a slow and painstaking writer when I know it’s for a “formal” purpose (most of the time, I write with much greater freedom here, but there haven’t been quite the spin-off benefits in the rest of my writing life that I’m always hoping for). 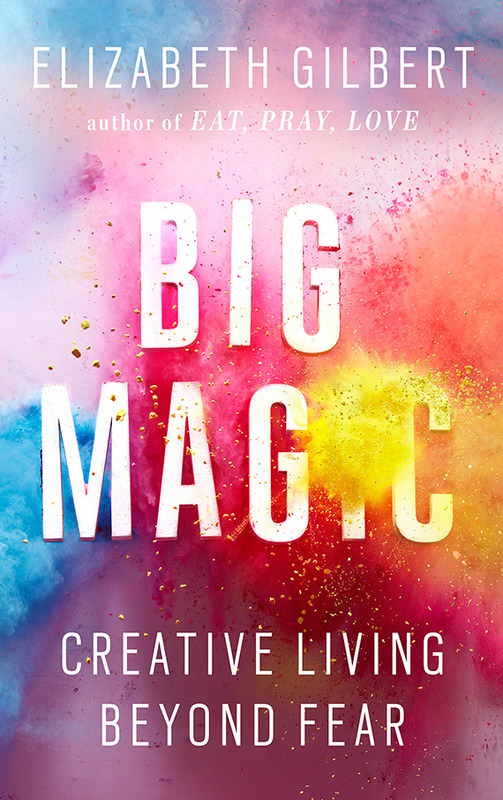 Sort of ironically, given that, the book I’ve been writing about is Elizabeth Gilbert’s Big Magic: Creative Living Beyond Fear, which I picked up to read (not, initially, to review) precisely because I was feeling stymied about my writing and thought maybe she’d have some helpful tips. All I’ll say about the book for now is that it did indeed motivate me to do some writing! (If you want to see the details, click on the image and it gets bigger). 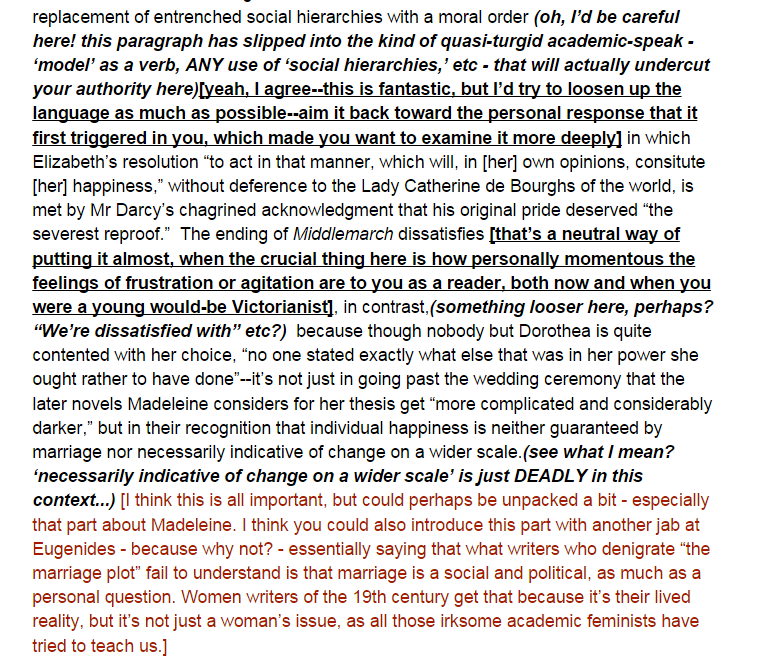 Even a piece that doesn’t provoke a lot of objections or corrections can generate a lot of debate about its argument or examples: it’s thrilling, really, to have so many smart people ready and willing to pay close attention to my writing. And while it can be intimidating, it’s done in such a supportive spirit that it’s somehow never discouraging. I’ve certainly never experienced anything like it in academic publishing. The other reason it has been quiet here is that I have been pretty busy on campus too — not so much with teaching, since my load this term is not heavy, but with administrative and advising work. I’ve already sent out a lot of reference letters and there are more requests coming in pretty steadily. Writing the letters themselves is often kind of uplifting, as you are cheering students on as they move into new, exciting phases of their lives. The paperwork is a real pain in the a–, though, even though these days much of it is virtual. No two places have the same forms or the same specific requirements, and often when there are forms they pose interesting technical challenges (yesterday, for instance, I ended up retyping several paragraphs into a fillable PDF because for whatever reason I could not get it to allow me to paste in the text of my letter, even though that is something I have done without difficulty on similar forms). As far as I know I have never screwed up anyone’s application by missing a deadline or sending the wrong materials to the wrong place or whatever, but it’s stressful worrying that I might lose track of something important. Committee work, too, has been a bit hectic. One reason is that our department is steadily losing resources: we have five wonderful senior people now phasing into retirement (and more to come soon, it seems likely), which has lots of implications for administrative assignments as well as teaching capacity, and this fall at one point we also had four people on sick leave plus another on a personal leave — and that’s not even counting sabbaticals. We also have no truly “junior” people left in our tenure-track ranks as it has been so long since we made a permanent hire. It seems like many of our recent meetings have focused on reshuffling the people we still have in order to keep everything running, and it’s just barely working. Welcome to the downsized humanities. I’ll never forget the dean telling our Faculty a couple of years ago that we were all going to do “less with less and do it better.” The “less with less” part has certainly come true, but better? Well, we’re certainly doing our best, and every day I’m reminded how committed everyone is — to our students, first of all, but also to the university, in both its real and its ideal incarnation. All is not gloom and doom, however! I thoroughly enjoyed the class my TA ran on “Araby” on Monday (as always, when I get to move back to the other side of the podium, I was reminded just how much I loved being an English student), and yesterday we had what I thought was quite a good session on Katherine Mansfield’s “The Garden Party.” In my graduate seminar, we struggled with the second half of The Mill on the Floss — not with actually reading it, of course, but with figuring it out. As I eventually said to them, one thing about the ending is it as good as tells us directly “you need to interpret this!” It’s not a novel that’s overtly metafictional in a cool postmodern way (not as much as Middlemarch is, anyway), but it constantly teases us about how fiction works and what its conventions are, as if to make sure we think about how The Mill on the Floss confronts them. We start Middlemarch on Monday; we’re taking it slowly, with just the first two books assigned, so I hope that allows them to linger over the reading and think about form as well as plot. 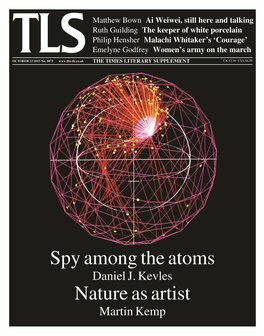 One other piece of good news, which I kept quiet about until now because I was worried that (for who knows what reason) it might not actually come to fruition: in the summer I got the opportunity to review a book for the TLS (the TLS! ), and after much waiting, my review has finally appeared in the current issue. I try not to be an “old media” snob, but there’s something about the TLS and its history that makes it pretty thrilling to see my name in its table of contents. *OK, maybe not 100% typical – it looks like the new piece is coming through relatively unscathed, for instance! (Maybe I’m getting better at this?) But typical of sections that show fear. Never show fear in the shark tank – it’s like a faint trail of blood and they’ll always pick up on it! Next Article Reading Persepolis: Comically Inept? Right between Leonardo and Traherne – impressive company! Congratulations on the TLS review! That is all kinds of awesome! Will you be getting to more reviews for them in the future?